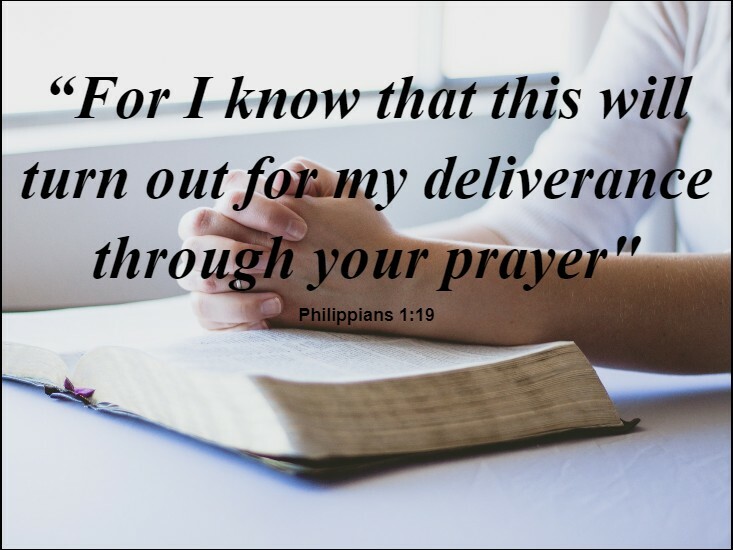 Paul, when he wrote his letter to the Philippian church, knew something of hardships. He was imprisoned and he was put in a place of affliction and hurt. So, when he writes of the faith he has that the saints will help pray for his deliverance, he knew what he was talking about. There is a wonderful bond in the body of Christ that is like no other. Unity, love and compassion mean so much to our survival that our very witness to the world depends on it. There has been over the past few years an awareness of how we have hurt not only one another but our witness before the world through gossiping and the tearing down of one another. Keep praying for one another!